Check out our schedules page here and sign up for one of our classes now! Want to support the Corelan Team community ? Click here to go to our donations page. Want to donate BTC to Corelan Team? Your donation will help funding server hosting. You can support Corelan Team by donating or purchasing items from the official Corelan Team merchandising store. Corelan Website is available without the need to provide personal information. such case your personal information shall be treated in accordance with the General Data Protection Regulation and any amendments hereof. the purpose of making available to you the requested information or services. Your personal information will not be shared with third parties, but it may be used for authentication, support & marketing purposes in relation with services provided by Corelan. as may legally be required. available by you from third parties. personal details by written request to Corelan. If you decide to get your information removed, you understand and accept that you will lose all access to any resources that require the use of these personal details, such as parts of the website that require authentication. f. When using the Corelan Website, cookies may possible be used. You do not have to accept cookies to be able to use the publicly accessible parts of Corelan Websites. If you have an account and you log in to this site, we will set a temporary cookie to determine if your browser accepts cookies. This cookie contains no personal data and is discarded when you close your browser. When you log in, we will also set up several cookies to save your login information and your screen display choices. Cookies may be used to display advertisements or to collect statistics about the use of the Corelan website. When using the Corelan Website, cookies may possible be used. 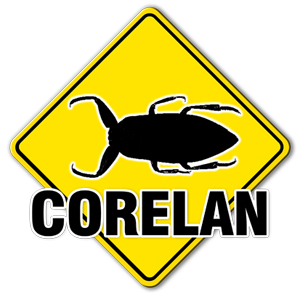 You do not have to accept cookies to be able to use the publicly accessible parts of the Corelan Website. If you have an account and you log in to this site, we will set a temporary cookie to determine if your browser accepts cookies. This cookie contains no personal data and is discarded when you close your browser. When you log in, we will also set up several cookies to save your login information and your screen display choices. We may use third party cookies to show ads and to collect anonymous information such as the number of visitors to the site, and the most popular pages. The ability to show ads is an important source of income to cover the hosting fees to keep this website alive. If you prevent ads from being displayed, this website will eventually disappear.